Petlift manufactures a wide selection of electric and hydraulic dog grooming tables all designed and built for the most demanding professional groomers. For over forty years, PetLift / VetLift Medical has been manufacturing the finest and most innovative equipment for the animal care industry. 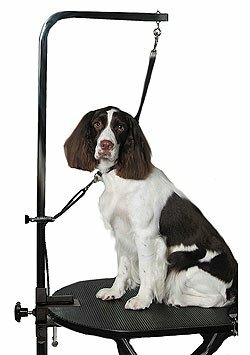 PetLift is proud to have introduced many of the labor-saving devices that are universally used by professional groomers and veterinarians. PetLift / VetLift Medical is a family-operated business, so their most important purpose is in providing their customers with products of the highest quality at the most reasonable prices, and with the ultimate in service. PetLift is confident that you will be more than satisfied with the performance and workmanship of a PetLift/VetLift product. 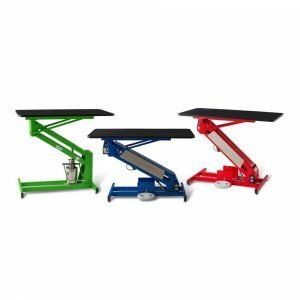 Table frames on all electric and hydraulics are covered by a five-year warranty, table tops one-year warranty, two-year warranty on the hydraulic pumps and electric components. Instructions are provided with every table. Cages are covered by a two-year warranty.